Bruce and Sally Alterman started The Brickery in Sandy Springs 22 years ago, and the restaurant has been drawing crowds ever since. The crowd has aged in the last few years, and in order to expose their restaurant to a younger, hipper, internet-savvy crowd, the Altermans invite foodies from television, magazines and the internet to a menu sampling. Malika Bowling of Atlanta Restaurant Blog organizes the event and Date Night is lucky enough to get an invite. This event was snowed out by both of Atlanta’s recent snow escapades. 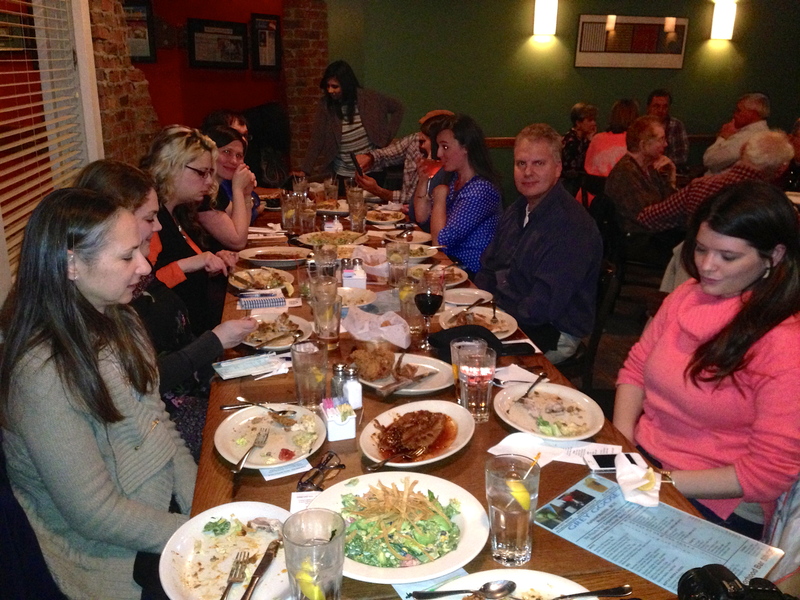 Some of our favorite bloggers are here. Isn’t this gorgeous? 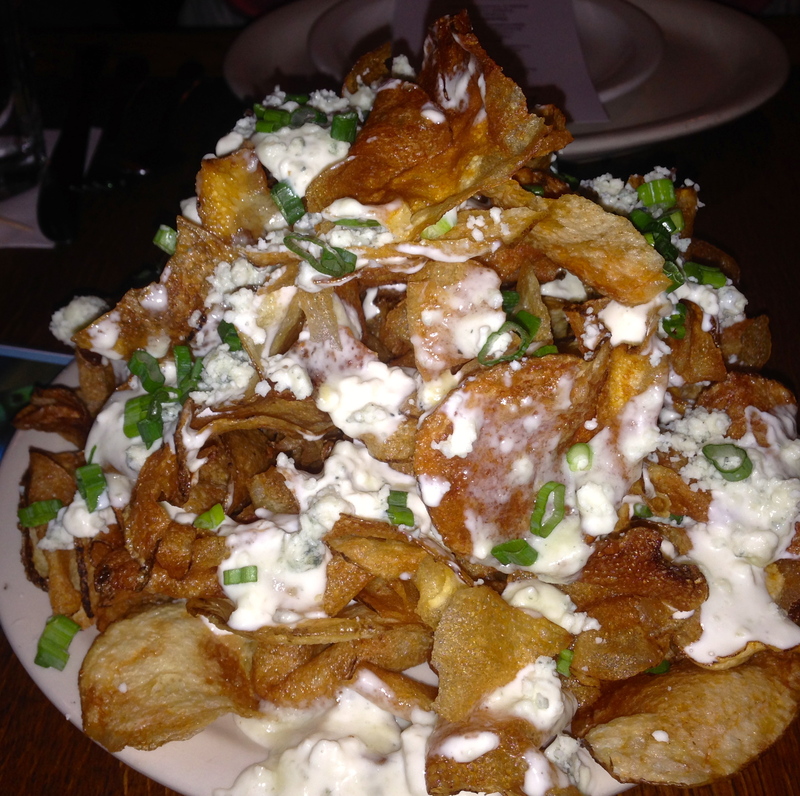 It’s a pile of blue cheese chips, house-made potato chips that are stacked to perfection and covered with blue cheese. The chips alone are worth the price of admission. 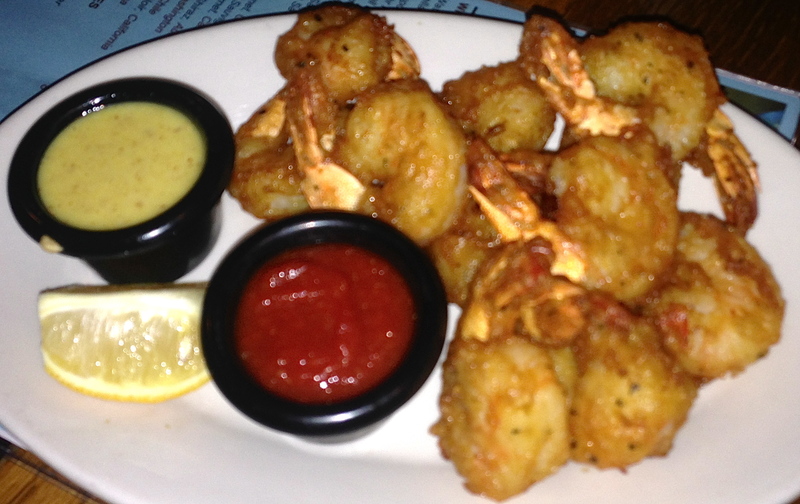 We are so excited about the barely battered shrimp that our picture is out of focus. 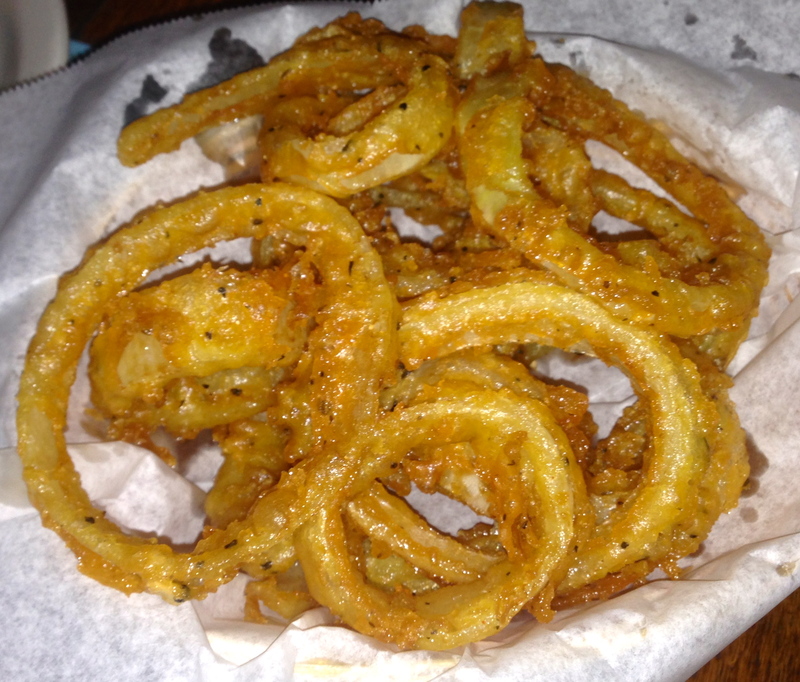 As we will see, some of The Brickery’s best comes from their fryer. Bruce and Sally come out between dishes and explain what we are eating. The entrees are next. We didn’t get a picture of the crab cakes because they vanished so quickly. They have no filler and are just crab and seasoning. If you are a crab lover, these are for you. 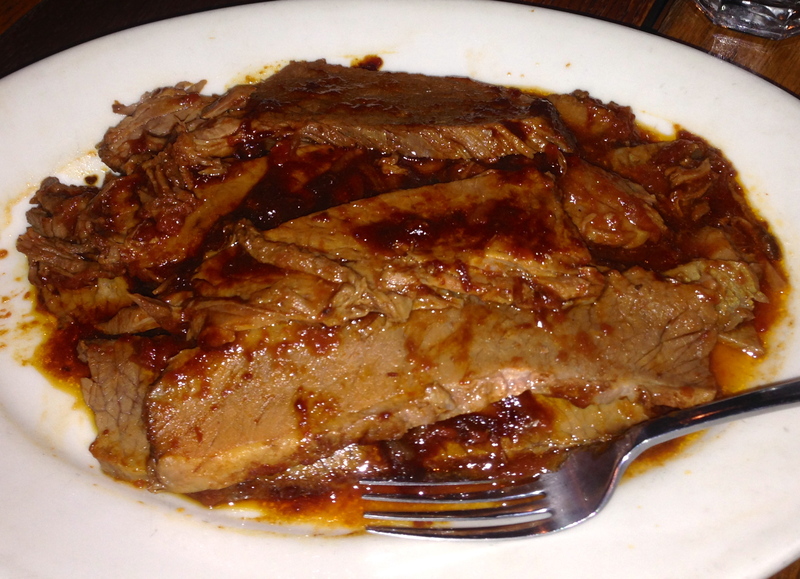 Beef brisket–melt in your mouth moist. 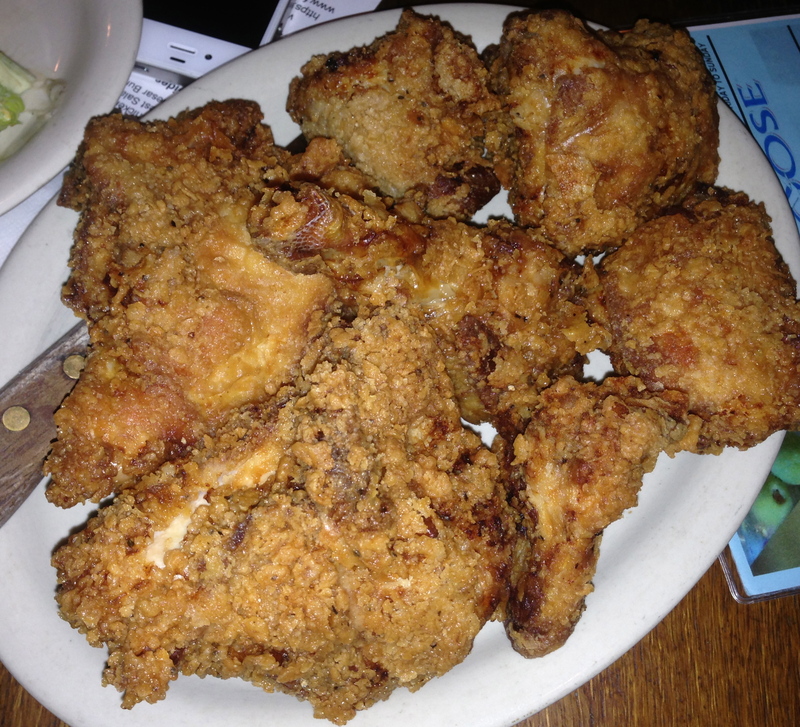 If you are going to eat fried chicken, this is worth the calories. Crunchy outside and moist inside, the chicken is a big hit tonight. 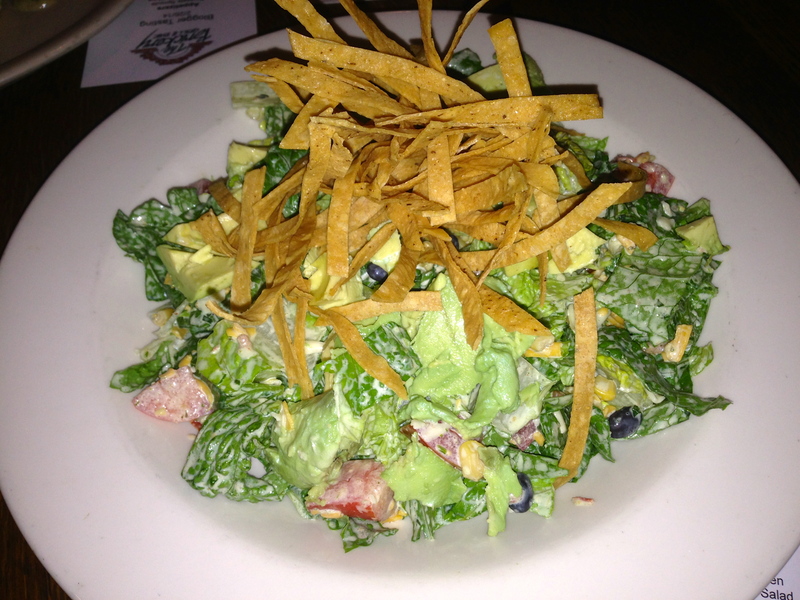 I feel bad for the southwestern salad, which does not get a lot of love because it is upstaged by all of the comfort food. The dressing is good and made right here, a fact the Altermans are very proud of. I enjoyed it on a large hunk of avocado. If you like burgers, try the one that’s fit for Caesar himself. 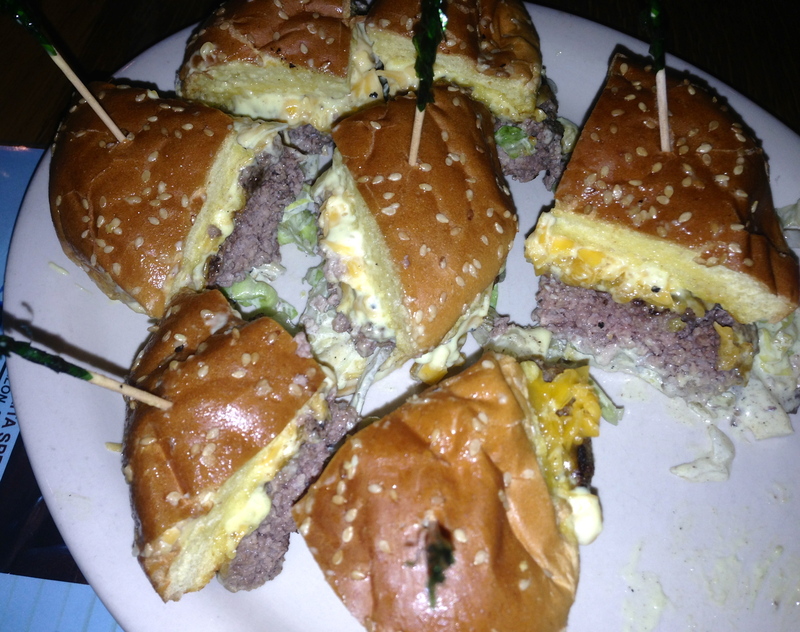 The Caesar burger comes with a dressing that the Altermans discovered in college in the late 60’s and brought to Atlanta. Kudos to them for actually remembering the late 60’s. You will remember this burger when you have it. You want sides with that? Rings. More magic from the fryer. 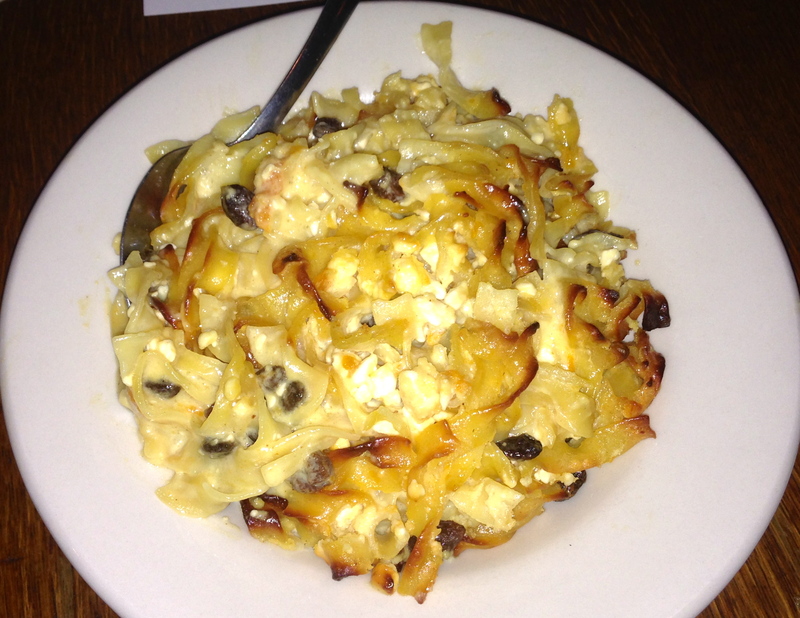 The lukshen kugel is just like your grandmother used to make, although it might be sweeter. My grandmother never made this, but her housekeeper did. 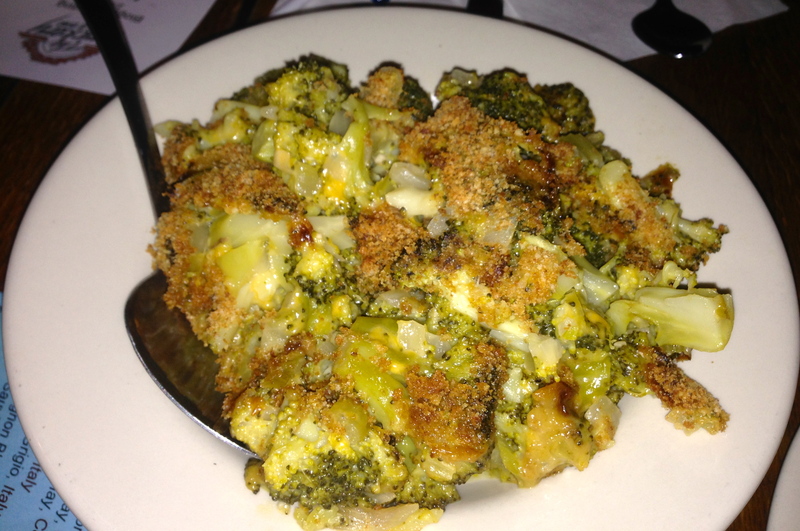 If all broccoli tasted like this casserole, the world would be a better place, and more people would eat it. There is no room for dessert, but we might squeeze in just a bite. Chess pie, chocolate cake and peach cobbler are served as the final course. Chess pie is one of the staples of southern cooking. Think pecan pie without the pecans. 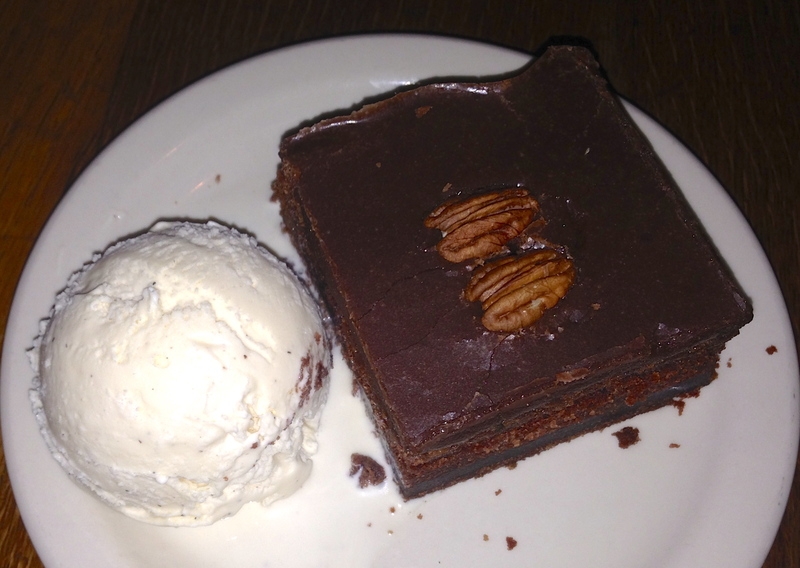 The winner in our eyes of the dessert tasting is Addie’s chocolate cake, another Alterman family recipe from long ago. This cake is so good that it deserves its own picture. The Brickery did a fantastic job with this tasting. The chef comes out at the end and we all give him a well-deserved round of applause. Thanks again to the Altermans for hosting this impressive gathering. 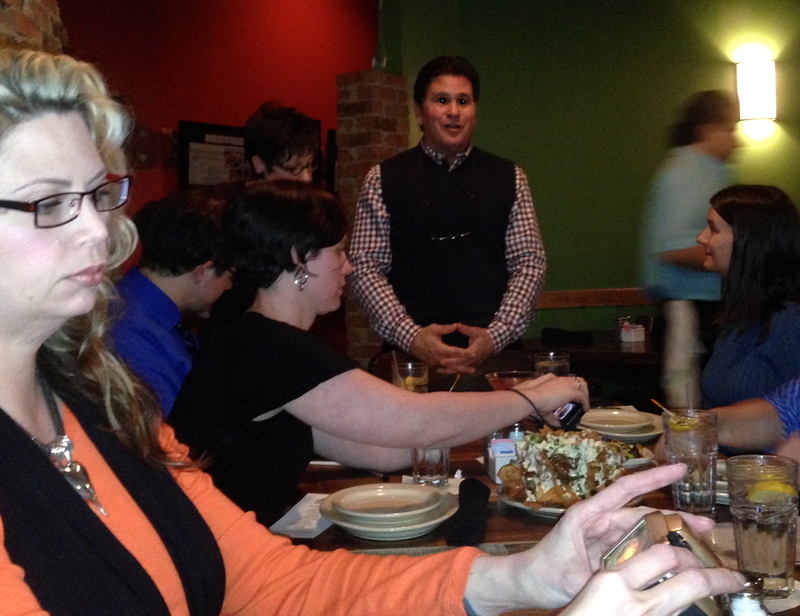 If you are under 50 and you haven’t tried The Brickery, give it a shot. It’s a neighborhood restaurant with really good takes on everything they do. We are sure you will find something you like on their menu. Full disclosure: Since we were guests of The Brickery, Date Night did not pay for the food that we tried at the menu sampling. The food was excellent, and it would have been if we paid for it or not. 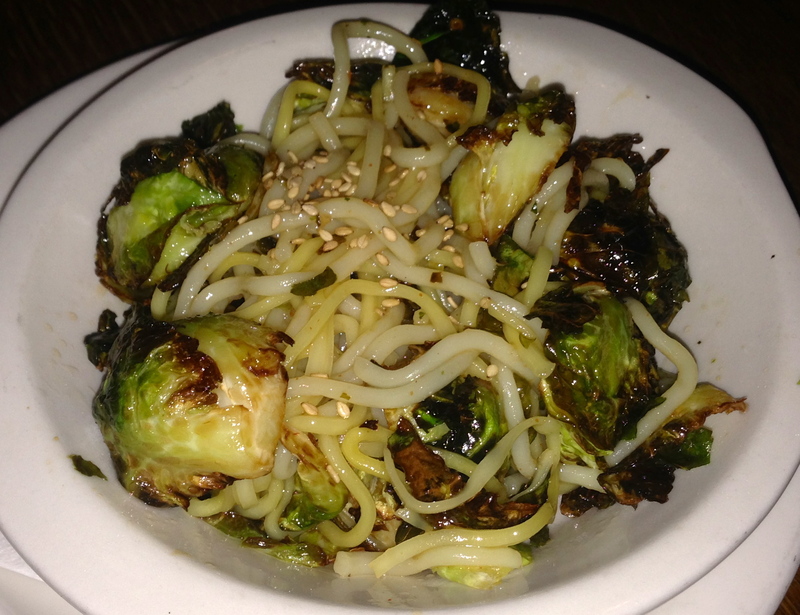 The Brickery, Sandy Springs GA (take three) – Marie, Let's Eat! 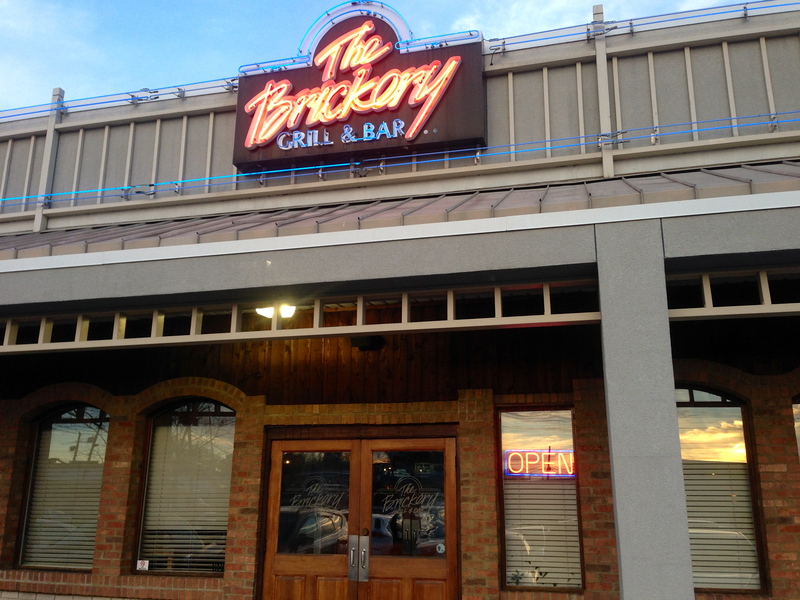 The Brickery Grill and Bar, Sandy Springs GA (take two) – Marie, Let's Eat!